Every Tuesday, Thursday, and Saturday is a new workout! Sundays are for trying new things! Explore and share with the other #MTLSpringChallenge ladies! Mondays and Fridays are up to you… make something up or get a friend to join you! Don’t forget to check in on Instagram or Twitter with your progress! Wednesdays are rest days! Rest is very important, so don’t skip your rest day! If you don’t know what some of these workouts are, check out Bodybuilding.com’s exercise database, YouTube or even Google! 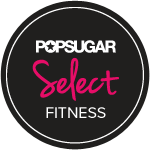 Hop into a cardio class at your gym! If you don’t have one available, make your own! Try a spin bike or a new piece of cardio equipment and get sweaty! Complete 10 minutes of cardio on each! Push yourself!